Save your search - find out immediately when "Ralph Waldo Emerson" is available at auction! Emerson, Ralph Waldo (1803-1882) Autograph Sentiment Signed. Emerson, Ralph Waldo (1803-1882) Fortune of the Republic , Author's Presentation Copy. 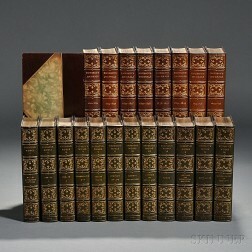 Emerson, Ralph Waldo (1803-1882) Works , Autograph Centenary Edition. Emerson, Ralph Waldo (1803-1882) Autograph Letter Signed, 24 October 1867. Emerson, Ralph Waldo (1803-1882) Autograph Letter Signed, 4 November [n.d., 1867?]. Emerson, Ralph Waldo (1803-1882) Autograph Letter Signed, Concord, 22 October 1858. Emerson, Ralph Waldo (1803-1882) Autograph Letter Signed, Concord, 24 September 1867. Emerson, Ralph Waldo (1803-1882) Signed Sentiment. 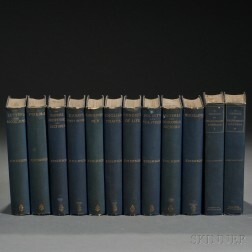 Emerson, Ralph Waldo (1803-1882) Complete Works , Riverside Edition. 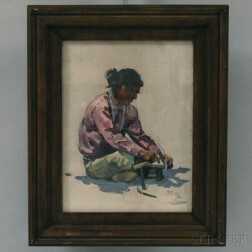 Attributed to Ralph Waldo Emerson Meyers (American, 1885-1948) Seated Navajo Man.